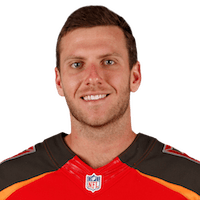 Allen will likely see a good chunk of reps under center for the Buccaneers in the preseason finale Thursday against the Jaguars, the Buccaneers' official site reports. Analysis: With the top three spots on the depth chart essentially settled, Allen is expected to get a long look from the coaching staff before the team begins making cuts to the roster before Saturday's deadline. There are no videos available for Austin Allen. Click here to view all videos.